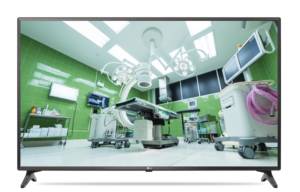 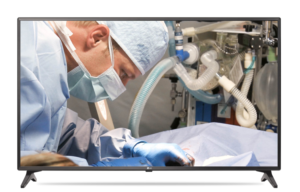 Upgrade your hospital or healthcare facility with the newest LG Hospital TVs. 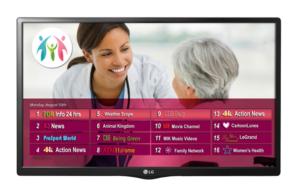 LG is a national leader in hospital TV and healthcare TV displays, and the creator of the Pro:Idiom digital rights management technology. 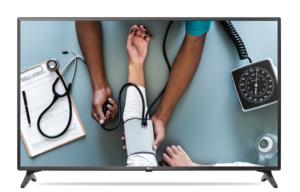 The healthcare features that LG packs into their value TVs, SMART TVs, and Pro:Centric Server services are unique and engaging. 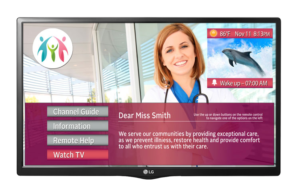 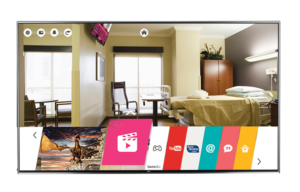 Speak to a Sonu Satellite representative for more details on LG hospital TVs, healthcare features, and free quotes on new displays for your hospital waiting rooms, hospital patient rooms, rehabilitation center, urgent care office, or doctor’s office. 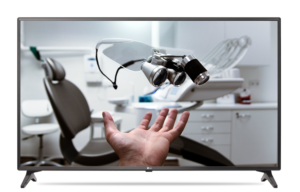 .asf, .wmv, .avi, .mp4, .m4v, .mov, .3gp, .3g2, .mkv, .mpg, .mpeg, .dat, etc. 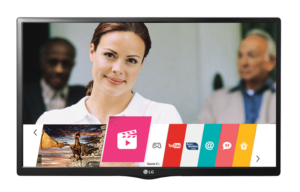 .asf, .wmv, .divx, .avi, .mp4, .m4v, .mov, .mpg, .mpeg, .mpe, etc.